Welcome to the SkinBeautyMall.com Website (“Site”). 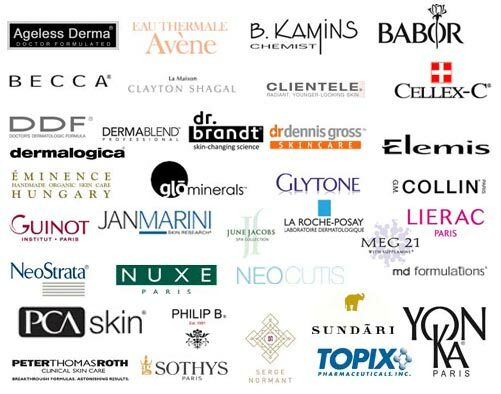 SkinBeautyMall.com is a skin care web store that provides professional anti-aging and other skin care products. If this is the first time you are using the product that you plan to purchase, it is highly recommended that you contact our skin care specialist and get recommendations on the product that you are purchasing at our store. Upon your request, our esthetician will consult with you via email or telephone. After determining your skin care needs, the esthetician will recommend the appropriate product for your skin type and needs based on our esthetician's scope of practice and expertise. This way you will get a professional opinion and at the same time you will get the exact product that is best suited for your skin care needs. However, our skin care specialist's consultation should not be substituted for professional medical advice. If you have any skin condition or disease, SkinBeautyMall.com highly urges you to discuss the issue of your skin care needs with your physician and to not purchase products at our store. Our skincare specialists are not in the position to provide medical advice. We do not represent ourselves as a physician and we do not have any intention to provide any sort of medical advice or recommendation. You are ONLY authorized to use this Site by accepting this Agreement, as follows. By using this Site you acknowledge that you have read, understood, and agreed to the Agreement, or that you had the opportunity to do so, but have agreed to this Agreement at your risk without doing so. Due to the foregoing, please print and read the Agreement carefully before further accessing this Site. "SkinBeautyMall.com" may be referenced by "we", "us", “our”, etc. ., which terms include our firm, Crescent Health Center, and any of its affiliates, and all of the owners, officers, employees, agents and independent contractors of each of them. This Agreement may be modified by us from time to time without prior notice, such modifications to be agreed by you and effective upon your next use of the Forum. Any information, questions, comments, feedback, reviews, commentaries, submissions or the like to the Site that you provide to us in connection with this Site ("Submissions") shall be provided to us on a non-confidential and non-proprietary basis and will become and remain our property. Subject to our Privacy Policies, we shall have no obligations of any kind with respect to any Submissions and shall be free to reproduce, use, disclose and/or distribute any Submissions for any purpose whatsoever, without limitation. We have the right to use any ideas, concepts, know-how or techniques that you send us for all commercial and non-commercial purposes. You hereby waive all proprietary and moral rights you may have in any Materials uploaded by you to the extent allowed by law. SkinBeautyMall.com attempts to be as accurate as possible. however, THE SITE AND ANY MATERIALS or products PROVIDED BY SKINBEAUTYMALL.COM OR THIRD PARTIES THROUGH THE SITE ARE PROVIDED "AS IS." SKINBEAUTYMALL.COM MAKES NO WARRANTIES, EXPRESS OR IMPLIED, AS TO THE MERCHANTABILITY, FITNESS FOR A PARTICULAR USE OR PURPOSE, TITLE, NON-INFRINGEMENT OR ANY OTHER WARRANTY, CONDITION, GUARANTY, OR REPRESENTATION, WHETHER ORAL, IN WRITING OR IN ELECTRONIC FORM, INCLUDING BUT NOT LIMITED TO THE ACCURACY, TIMELINESS OR USEFULNESS OF ANY MATERIALS PROVIDED THROUGH THE SITE. SKINBEAUTYMALL.COM DOES NOT GUARANTEE THAT YOUR ACCESS TO, OR USE OF THE SITE, WILL BE CONTINUOUS, UNINTERRUPTED OR SECURE.We attempt to describe all of the Content on our Site as accurately as possible. However, we do not warrant that such descriptions are accurate, complete, reliable, current or error-free. If a product offered on our Site itself is not as described, your sole remedy is to return it in unused condition. We may make changes, improvements and/or modifications to the Site or its Content at any time without notice. Site Content may be out of date, and we make no commitment to update it. We neither represent nor endorse the accuracy or reliability of any product descriptions on our Site or of any other person or entity. You hereby acknowledge that the use of the Site is at your sole risk. All items purchased from SkinBeautyMall.com are made pursuant to a shipment contract. The risk of loss and title for such items passes to you upon our delivery to the carrier. You hereby indemnify, defend (with counsel acceptable to SkinBeautyMall.com), and hold SkinBeautyMall.com, on its behalf and on the behalf of its successors and assigns, and all other persons or entities associated with it, including other participants, but excluding any independent service provider, (collectively, the "Indemnified Parties") harmless from and against any and all liability and costs incurred by the Indemnified Parties, including without limitation reasonable attorneys' fees and legal costs, in connection with any claim arising out of any breach by you of this Agreement or the foregoing representations, warranties and covenants. You shall cooperate as fully as reasonably required in the defense of any claim. We reserve the right, at our own expense, to assume the exclusive defense and control of any matter otherwise subject to indemnification by you. You shall not enter into any settlement agreement which affects our rights without our prior written approval. SKINBEAUTYMALL.COM SHALL NOT BE RESPONSIBLE TO YOU OR ANY THIRD PARTIES FOR ANY DIRECT OR INDIRECT, CONSEQUENTIAL, SPECIAL, PUNITIVE OR EXEMPLARY DAMAGE OR LOSS INCURRED IN CONNECTION WITH USE OF THE SITE OR ANY OF THE PROVIDED BY SKINBEAUTYMALL.COM THROUGH THE SITE, OR ANY DAMAGE OR LOSS INTERRUPTIONS, DELETIONS OF FILES, ERRORS, DEFECTS, DELAYS IN PERFORMANCE OF THE SITE, REGARDLESS OF THE CLAIM AS TO THE NATURE OF THE CAUSE OF ACTION, EVEN IF SKINBEAUTYMALL.COM HAS BEEN ADVISED OF THE POSSIBILITY OF SUCH DAMAGE OR LOSS.If you are a California resident, you specifically waive California Civil Code Section 1542, which says "A general release does not extend to claims which the creditor does not know or suspect to exist in his favor at the time of executing the release, which, if known by him must have materially affected his settlement with the debtor. This Agreement has been made in and shall be construed and enforced in accordance with California law without regard to any conflict of law provisions. Any action to enforce this agreement shall be brought in the federal or state courts located in Orange County, California, and you agree to personal jurisdiction by, extra-territorial service of process from, and venue in the state and federal courts of the State of California. This Agreement and any other Terms, conditions, and notices referenced ELSEWHERE herein or on this Site constitute the entire agreement between you and us with respect to your access and use of the Site. A waiver of rights by SKINBEAUTYMALL.COM for a breach or default by you hereunder shall be in writing and shall not operate as a waiver of rights for any future breach or default, whether of a like or different character. No delay, short of the statutory period of limitation, in asserting or enforcing any right hereunder shall be deemed a waiver or limitation of such right. If any term or other provision of this Agreement shall be declared to be invalid, illegal, or incapable of being enforced by any rule of law or public policy, all other terms, provisions and conditions of this Agreement shall nevertheless remain in full force and effect. We may assign this Agreement. Nothing contained in this Agreement shall be construed as conferring any license or right to any copyright or other intellectual property rights in relation to any Site Content to you.